At Elgin Corners Dental, our Registered Denturist creates full and partial dentures to replace patients' missing teeth. Registered denturists are dental professionals who specialize in the construction and fitting of full and partial dentures. They also reline dentures, and make repairs to existing dentures. Sarwari immigrated to Canada in late 1993. 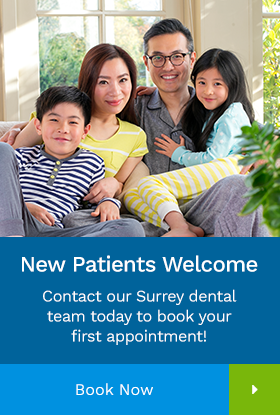 Working for many different dental labs in BC enabled him to learn and adopt a wide range of dental techniques, which he uses to create simple and complex treatment plans for his patients, in collaboration with the dentists he works with. Sarwari attended the Vancouver Community College Denturist Program and graduated with Honors. He then completed his internship at VCC, and upon completion was given an Instructor’s Assistant position. He has been involved with the College of Dental Technicians of BC, and ran to become a Dental Technician Board member in 2014. In early 2015, he joined CDI College Dental Technician Program as an Advanced Complete and Partial Denture instructor. In July of 2016, he was promoted and is currently the Department Head for Denturist Program. Sarwari has always been passionate about the profession of Denturisim, and he is dedicated to serving the public, fellow registrants, and denturist students. He strongly believes that educating the patient and working closely with other dental care professionals is the key to accomplishing successful treatment outcomes for his patients. He is excited to join the Elgin Corners Dental family! In his spare time, Sarwari enjoys spending time with his family. He is happily married and the proud father of 4 children. They are a family of "soccer junkies" and Sarwari has coached his three eldest boys with the CCB football club. Next up, he's ready to focus on his two and half years old boy's pro soccer career.